New Delhi : South Asian nations including India are “vulnerable” to emerging infectious diseases like Zika and Ebola and their level of preparedness is “inadequate” to protect public health, a new analysis said. “In India and Sri Lanka, by around 40 years of age 90-95 per cent of adults have been infected with the dengue virus, while 41 per cent have been infected with chikungunya,” it said. Noting that Anthrax is endemic in large parts of South Asia, the analysis said that in the border areas of India, Bangladesh, and Myanmar, poor vaccination and surveillance have been accompanied by “increasing” anthrax cases, which prompted Bangladesh to announce a “red alert” in 2010. Noting that rabies remains endemic in eight countries in South East Asia, with 1.4 billion people at risk, the authors in the analysis said that the region contributes about 45 per cent of global rabies deaths, while the “rhetoric” on elimination continues to grow. “Brucellosis, bovine tuberculosis, and a range of food- borne diseases contribute to the morbidity and mortality attributable to zoonotic infections but are struggling to gain the attention of policymakers in the subcontinent, despite it resulting in 150 million illnesses, 175,000 deaths, and 12 million disability-adjusted life years,” the analysis said. “It has resulted in losses of around USD 500 million,” the analysis by Centre for Disease Dynamics, Economics and Policy (CDDEP) Director Ramanan Laxminarayan and colleagues said. 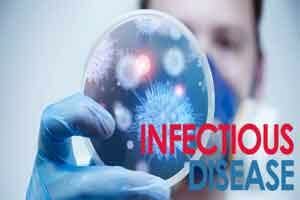 “South Asia stands vulnerable to emerging infectious diseases. Examining the vulnerability to emerging and growing infectious disease threats and the capacity to respond to outbreaks, the analysis finds the level of preparedness is inadequate to protect public health,” it said. South Asia is defined by the World Bank as Afghanistan, Bangladesh, Bhutan, India, Maldives, Nepal, Pakistan and Sri Lanka and is home to a quarter of the world’s population. “Emerging and growing infectious diseases, like Zika, Ebola, MERS-CoV, and avian influenza, are adding to the already significant burden of disease, and their spread may accelerate in the face of factors such as inadequate surveillance and uneven health system capacity. “The current state of affairs appears to result from a severe policy neglect, including a general lack of commitment to the ‘One Health’ approach in policy discourse, which would consider the interrelation of animal health, human health, and the environment,” the authors noted. They said the lack of preventive measures and surveillance has led to some previously sporadic diseases like Nipah virus and Chandipura virus becoming “endemic” in these countries. “With rapid shifts in urbanisation and increasing population, South Asia has the opportunity and obligation to implement meaningful policy changes to prepare against emerging infectious diseases. “Millions of lives are at stake and betting against the spread of emerging infectious diseases would be irresponsible,” said Laxminarayan. The analysis noted that the elimination of polio from many countries in the region, most recently in India, is a “landmark” achievement. “At the global scale, South Asia must become more engaged in the health security agenda. The government of India is a founder contributor to the Coalition for Epidemic Preparedness Innovation (CEPI), an initiative that aims to accelerate the development of new vaccines for high threat pathogens. “This leadership is commendable, but such research and development pipelines need to be linked to strengthened surveillance, response, and research platforms within South Asia to ensure that it can be evaluated and implemented locally. Finally, global science communities can help enhance regional conversation to encourage local collaboration,” it added.